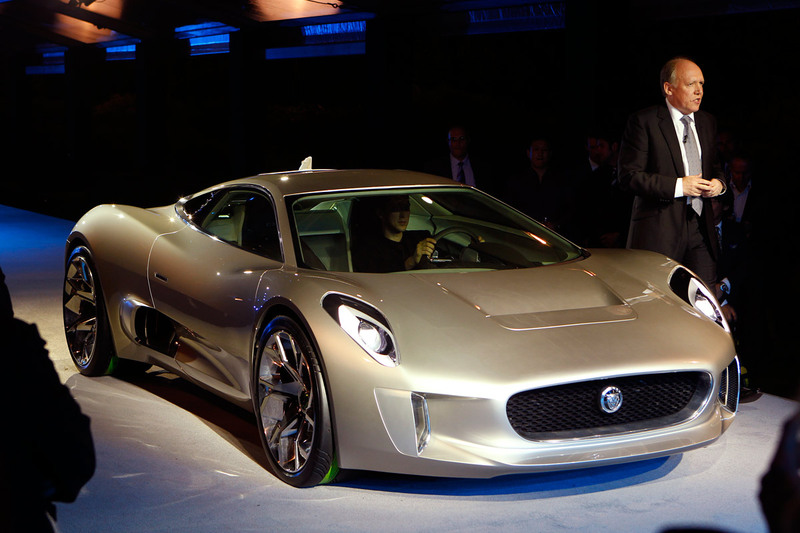 Jaguar has revealed a stunning range-extended electric supercar concept car at the Paris Motor Show. 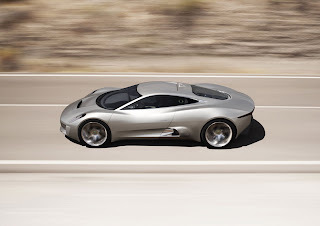 The C-X75 has been designed to celebrate 75 years of the marque and provide a glimpse into the future of Jaguar and its commitment to producing beautiful, fast cars powered by sustainable means. Shorter and lower than the current crop of supercars, its exterior design is about pure performance with a simple central fuselage surrounded by prominent wheel arches. Thanks to the packaging efficiencies provided by the absence of a conventional piston engine, the car’s designers had maximum freedom in placing the mechanical components and creating the most elegant engineering package available. 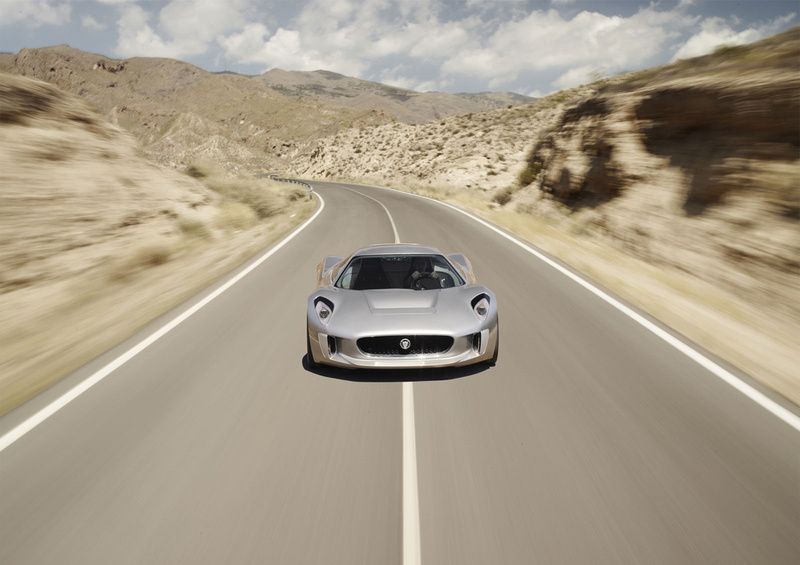 This remarkable range-extension system is a result of Jaguar’s research engineers adopting a clean-sheet approach to the question of powering the supercars of the future. The C-X75 turns to the very latest evolution of a pioneering British technology: the gas turbine. Developed in partnership with Bladon Jets, the miniaturized turbine blade - the first viable axial-flow micro-turbine - increases the compression and efficiency of micro gas-turbines to the point at which they can be viewed as a realistic power source. Each of the micro gas-turbines weighs just 35kg and produces 94 bhp (70kW) of power at a constant 80,000rpm. A new interface for the driver has also been created for the C-X75 using high-resolution TFT screens. 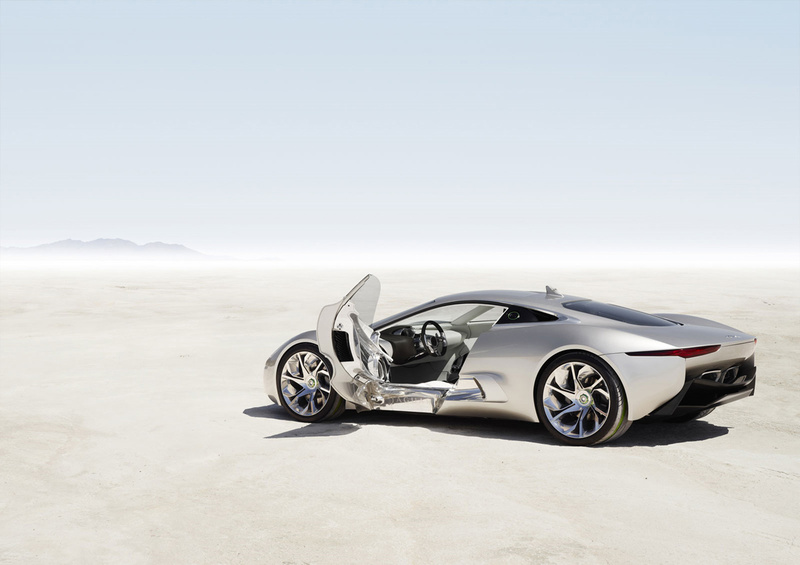 Building on Jaguar’s 10-year expertise in touchscreen technology, the Jaguar Co-Pilot display in the centre console supports the driver in extracting the full potential of the C-X75 by seamlessly managing information. The main driver information screen is housed within the instrument binnacle. Needles float on the periphery of the twin cowls and sweep round the outer edge to display the status and rpm of the two turbines. The design team combined designs from instrumentation in the new XJ saloon with those from fighter aircraft to create virtual 3D ‘gimbals’ around which the gauges wrap and rotate to provide status updates. Jaguar’s expertise in the use of aluminum stretches back more than 50 years to the first XK120s, through the lightweight E-Types, the XK and all-new 2010 XJ. 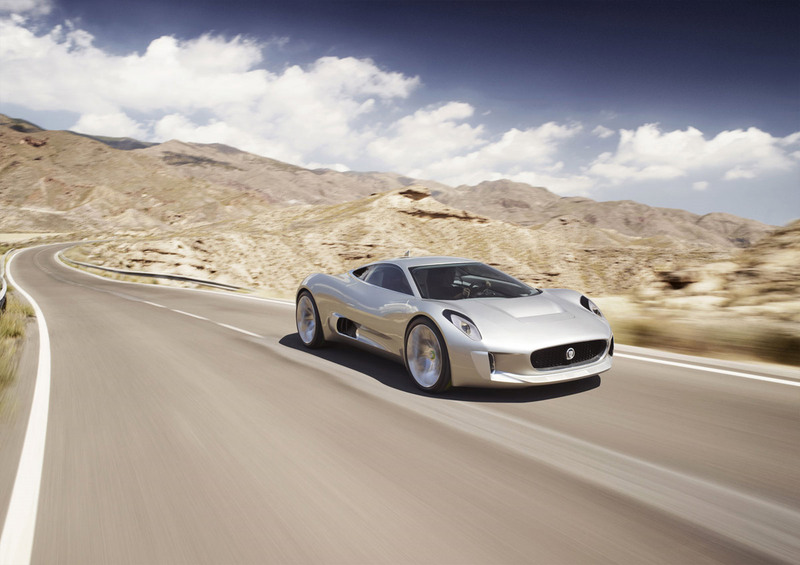 It was with this latter creation that Jaguar fully realized the lightweight metal’s benefits to performance, agility, economy and sustainability in a luxury car. 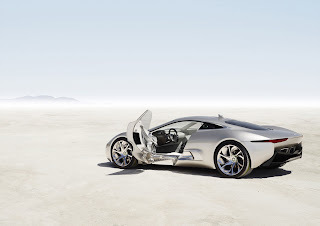 The C-X75 naturally follows the same construction techniques with an extruded and bonded aerospace-inspired aluminum chassis clad in panels of the same material. Not only does this save weight, crucial in a car with an extreme performance envelope, but aluminum is one of the most easily recyclable metals available, boosting the C-X75’s sustainability as well as its speed. The impressive 94 bhp of Bladon Jets micro turbines, is enough to give to a compact urban electric car, sufficient autonomy to eliminate any range anxiety .